The SkiGo thermo drink-belt is available in two different colors. The thermo-isolation helps to keep your drinks in summer cold and in winter warm. 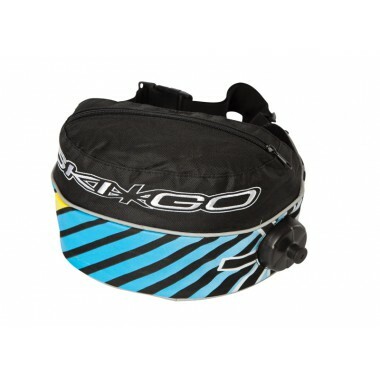 The SkiGo thermo drink-belt has a huge pocket for keys, wax etc. This pocket can be closed by a zipper. The cover of the SkiGo thermo drink-belt is removable for good cleaning.This version is not suitable under harsh conditions, as the drinking tube might freeze. Notice: Don’t fill in boiling drinks!